Saturday, February 10, 2018, 11 a.m. to 4 p.m.
Free. Photo ID required for adults. Join Cultural Programs of the National Academy of Sciences (CPNAS) and the Smithsonian Early Enrichment Center (SEEC) for a day of family fun discovering the Arctic landscape and its inhabitants. 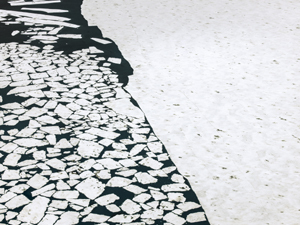 Through hands-on activities, children and families will explore Diane Tuft's stunning photography exhibit, The Arctic Melt: Images of a Disappearing Landscape, and make connections to the Arctic environment, climate change, and conservation. A detailed agenda will be announced soon! Participants are encouraged to bring an old t-shirt to make a reusable shopping bag. This program is geared for families with children ages 3-8. Registration is recommended. Photo ID required for adults. Limited free on-site parking is available on a first come, first served, basis. The NAS visitor lot is accessible from the intersection of 21st and C Sts NW.